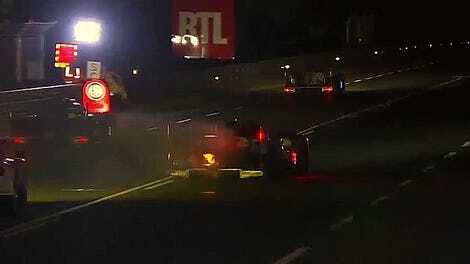 At one point in this year’s 24 Hours of Le Mans, the No. 2 Porsche 919 was stuck in the garage for 65 minutes replacing hard-to-reach hybrid components. 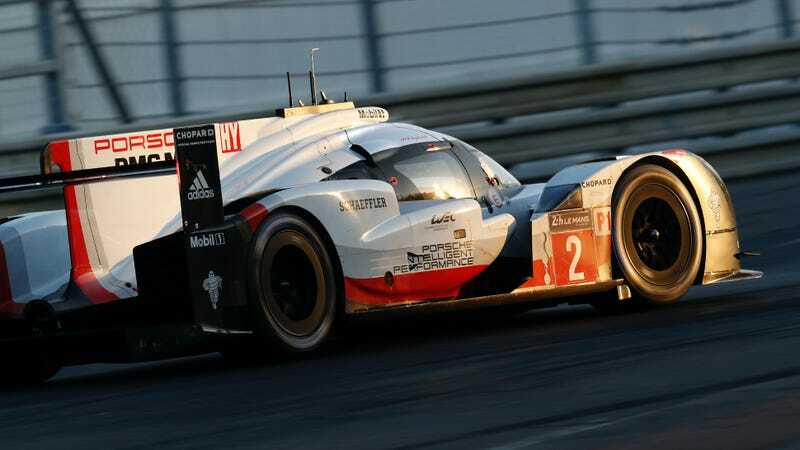 Every single car in its top LMP1 class either retired or suffered devastating mechanical problems, but of the LMP1 survivors, Porsche’s problems showed up first. In the LMP1 class, two of the three Toyota TS050s retired. The No. 8 Toyota that was still on track finished only ninth, suffering a similar hybrid failure to the No. 2 Porsche later in the race. It didn’t have as much time to make up for its lost time, so it didn’t finish as high. Porsche’s sister No. 1 919 failed from the lead in the second half of the race after running a flawless race. Even the lone LMP1 privateer, ByKolles, retired early with engine problems. For a long chunk of the final stretch of the race, slower LMP2 cars—ones that use a spec Gibson V8 engine and cost exponentially less than the big-time manufacturer-supported LMP1 cars like the Porsche 919—were leading the race overall. The LMP1s had broken and weren’t near the lead. But Porsche’s No. 2 car never gave up. It kept chewing away laps, passing the No. 38 Jackie Chan DC Racing team for the overall lead with just one hour and seven minutes to go in the race. The No. 38 ended up finishing second overall, and winning the LMP2 class to take the first ever class victory for a Chinese team at Le Mans. Jackie Chan DC Racing is a new team for this year, forming only a week before the first race of the season. One of its drivers, Thomas Laurent, is only 19, making him one of the youngest people ever to stand on Le Mans’ podium. This was Laurent’s first ever attempt at Le Mans, and he gets a class win and an overall podium out of it. Third overall was the No. 13 Vaillante Rebellion LMP2 car, which had been struggling with starter issues that made their life miserable in the final hours of the race. This year’s race is the first time since 1995 that the overall Le Mans podium has had cars from multiple classes. This is Porsche’s 19th overall win and third in a row—meaning they get to keep their trophy this time. Congratulations, Porsche. Hope you stick around for a twentieth win. UPDATE [6/19]: Just kidding on the No. 13—they were disqualified after the race for drilling an unapproved hole through their bodywork in order for them to hit the starter and start the car, per Racer. The No. 37 Jackie Chan DC Racing car was promoted to third place overall as a result.